When is Conflict Likely to Erupt? The scholars developed a novel approach to testing their hypothesis. They decided to study Formula One drivers competing in Grand Prix events in hopes of being crowned World Champion. The researchers collected data on 732 races from 1970 to 2014. They measured conflict by identifying the incidences of race-ending collisions between drivers. The scholars measured structural equivalence by examining past performance. If two drivers had performed in a very similar fashion in past seasons, then they were rated as more "equivalent" than if one driver had a far superior record to a peer. Sure enough, the results confirmed their hypothesis. Collisions occurred more frequently among drivers of simliar status (i.e. past performance). What's the lesson for leaders? Be aware of situations in which lines of authority as well as roles and responsiblities may be ambiguous. We often bash hierarchy as ineffective and stifling. However, this research supports the findings of a series of recent studies demonstrating some important benefits to a clear hierarchy. In particular, dysfunctional conflict is less likely to arise when people understand clearly where they stand in a pecking order. When people are vying to be the "alpha dog," you could have real trouble. One such study, for instance, found that NBA teams with clear status hierarchies tended to outperform those where you had a group of players more similar in status. Do not mistake these results though. They do not suggest that we should have command and control organizations. They simply suggest that some clear delineation of roles and authority reduces the risk of destructive conflict. Last week, my wife and I tried to book some flights on Southwest Airlines using credits we had for some cancelled flights from last year. Unfortunately, we had waited more than twelve months, so the credits had expired. When we called Southwest, they explained that they offered a six month grace period, and therefore, we could still use the credit toward a new booking. The customer service agent indicated that it would take thirty days to receive those vouchers though. We explained that we wanted to travel sooner than that, and we didn't understand why it would take a month to receive our own money. The agent told us that she did not know how to expedite the matter. Frustrated by the phone call, I sent a tweet to Southwest explaining my problem. Someone responded to me in a matter of minutes. I provided some more detail, and within a half hour, I was assured that we would receive the vouchers within 2-3 days. It did not take nearly that long. In fact, we received the vouchers within several hours, and we were able to book our travel with ease. Problem solved, happy customers. I relate the story because it is yet another example of how Southwest Airlines has empowered its employees to act quickly to remedy customer problems. It also shows, however, that social media can be a powerful tool for customers, if used appropriately. Great companies monitor social media closely, and they act immediately to address problematic situations before issues get beyond their control. The best part... satisfied customers take to social media to complement firms that go the extra mile to resolve problems. That's precisely what I did, and what I'm doing here on this post. What’s missing from this response is any indication why Facebook didn’t do more to enforce its policy prohibiting apps from sharing user data, or why it took Cambridge Analytica at their word when they said they deleted the data without proper investigation. Or a straight-forward apology. Facebook is still playing the victim here. The psychologist who disseminated Facebook user data to an analytics firm working for the Trump campaign had a closer relationship with the social network than it has let on, co-authoring a research paper based on a massive amount of data that Facebook provided to him. Undoubtedly, many crisis management lessons will be derived from this incident. Most experts will focus on the lengthy delay (four days) before Zuckerberg and Sandberg issued public statements. I think there's a related lesson though, and it has to do with people's expectations of these two executives. Before this scandal, these two business leaders had highly public profiles. They were everywhere - making speeches, participating in interviews, and being profiled in major publications. The downside of maintaining such a public profile is that people will expect much more of you if a crisis occurs. Four days of silence stands out EVEN MORE for these executives than it would for those who kept a very low profile. The lesson is clear: Be aware of what people will expect of you, bsaed on your past behavior. You will face much criticism if you seek publicity when times are good, and then go underground when scandal erupts. Should Leaders Speak Last in Meetings? When you have quieter, more reserved people in a meeting, the best thing you can do as the leader is hold your ideas back until the end. Too often, leaders offer their ideas first. But people don't become confident, or grow as leaders, by listening to what you have to say. Instead, you need to encourage members of the team to offer their ideas first, especially those less inclined to speak up. Herold makes a great point here. I'm not suggesting that leaders should always speak last. However, in many cases, the leader does need to exercise some restraint so as to insure that all voices will be heard. Moreover, leaders frame the problem when they open the discussion. How you frame a problem often drives the types of solutions that are generated. Leaders need to be careful about not framing a problem in a way that constricts the alternatives that are put forth. What should a leader be doing if they are not putting forth their ideas and proposals at the outset of the meeting? They should be listening actively, asking questions, probing assumptions, requesting additional data if necessary, and calling on those who may be quiet to encourage them to join the conversation. Many of the most memorable moments in any employee’s life cycle happen at the very beginning. Everything is new. Everything makes an impact. They either feel supported and excited or lost and bewildered. They feel initiated or left out. In a way, this sets the tone for how they perceive your culture and the rest of their time at the company. “You have to make people feel special and welcome from the very first moment they interact with your organization,” says Gilboa. What are you doing to make your onboarding process energizing and inspirational? Are you truly welcoming new employees and helping them begin to make interpersonal connections within the organization? Are you inculcating the firm's values from the start? Most of us probably believe that a link exists between a person's attendance record at work and his or her job satisfaction. The employees who show up every day must be more satisfied than those who opt to stay home a fair bit, right? Not so fast. Interestingly, the data do not support the beliefs most of us hold about absenteeism and job satisfaction. An interesting new study helps us understand what's really going on in the workplace. Rebecca Schaumberg and Francis J. Flynn examined more than 300 customer service associates at various call centers. The scholars measured job satisfaction, and they tracked the employee's attendance at work over a four month period. Interestingly, they also administered a survey to evaluate how "guilt prone" each individual was. What did they discover? If individuals were not very susceptible to feelings of guilt, then attendance and job satisfaction are positvely corelated. In other words, the more dissatisfied people are, the more likely they are to miss work. That's what we would expect. However, things change when we examine people who are higly "guilt prone." For these people, no relationship exists between attendance and job satisfaction. These people sometimes keep right on showing up for work, even if they are very unhappy, because of their feelings of guilt. The lesson is clear - be careful how you interpret a strong attendance record on the part of employees. Low absenteeism may not signal that you have created a terrific work environment where people love to come to work. It may tell more about the personal attributes of your workers, and what motivates them to act each morning. Another nor'easter rages today in the northeast. 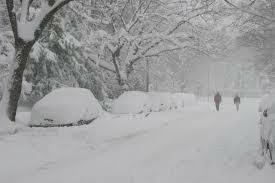 Weather forecasters predict 15-20 inches of snow in my region. Many people are not working today. What can and should you with your time if you have some free time? Besides shoveling the driveway, catching up on email, or taking a nap, you might consider learning something new. Researchers have demonstrated that novelty stimulates the brain. Moreover, innovative solutions often arise when people make connections between seemingly disparate concepts. Therefore, think about reading a book about something outside of your domain of expertise. Perhaps find a good documentary that intrigues you. Play a game that you have never played before with your kids. You may just ignite a creative spark by exposing yourself to a novel experience. 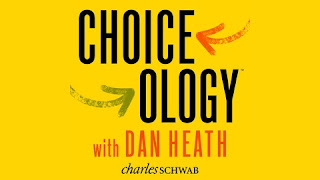 Check out my appearance on the "Summit Fever" episode of Dan Heath's Choiceology podcast. 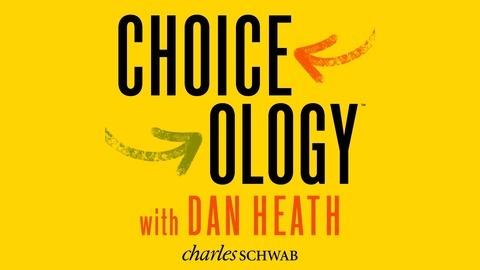 You may know Dan as the best-selling co-author of books such as Made to Stick, Switch, Decisive, and The Power of Moments. His books, written with his brother, Chip Heath of Stanford, are just terrific. What's one of the most dangerous phrases that you can hear a leader utter? "I already know that..." Why is it so worrisome when we hear those words? It suggests that the individual believes that their state of knowledge on that subject is settled and complete. Therefore, they might not be open to learning new things, to questioning what their assumptions, and to considering the fact that they just might be wrong. We want leaders to at least consider the possibility that they are mistaken, or that changing circumstances make old assumptions outdated. The next time you find yourself thinking, "I already know that," I encourage you to ask instead, "What questions might I ask that could spur additional learning on this subject? How might I benefit from reconsidering my views and assumptions here? What could I be missing?" "Since announcing our planned changes to the quarterly operations incentive program, we have listened carefully to the feedback and concerns you've expressed," Kirby wrote. " Our intention was to introduce a better, more exciting program, but we misjudged how these changes would be received by many of you. So, we are pressing the pause button on these changes to review your feedback and consider the right way to move ahead. We will be reaching out to work groups across the company, and the changes we make will better reflect your feedback." I'm certainly glad that Kirby has reconsidered his decision. Hopefully, Kirby and his team have learned that they would not have "misjudged" the employee reaction if they had simply sought feedback BEFORE issuing this policy announcement. If senior executives wanted to change the compensation program, why not consult with people on the front lines more extensively PRIOR to making the shift? The lack of an effort to solicit broad input is rather stunning. The biggest management failure here is not "misjudging" employee reactions. The colossal mistake is the highly flawed decision-making process. The Board of Directors ought to be asking penetrating questions about that process more generally, rather than only focusing on this particular policy. “As we look to continue improving, we took a step back and decided to replace the quarterly operational bonus and perfect attendance programs with an exciting new rewards program called ‘core4 Score Rewards.'" "The reason for this change goes to the heart of our strategy: offering meaningful rewards will build excitement and a sense of accomplishment with more bang for the buck." "We want every United team member to picture themselves walking home with a grand prize, or driving home in a beautiful car that announces for all to see that you are committed to your success and ours." I find it unbelievable that management is so out of touch with their work force. To tout this announcement as something that workers would be excited about and appreciate just shows how elitist they are. This program is totally contradictory to the CORE4 “we are listening, we are one” philosophy! I'm fascinated to see how United responds to this furor that has emerged in news reports, social media, their internal forum, and in the form of a Change.org petition. It certainly sounds as though they did not seek widespread input from front-line employees before making this change, and they did not test the messaging sufficiently before sending out this memo. What a mess they have created! As the old adage goes, it takes years to build trust within your organization, and it only takes one big mistake to destroy that trust. Doctors who emphasize their fitness seem like they may be more critical of patients who don’t live up to the same high standards. And it’s not that doctors actually devalue patients; it’s something overweight patients fear might happen to them when seeking out a new doctor, especially a doctor who touts his or her own exemplary health habits in their literature or online. This is called anticipated devaluation, and it can make overweight patients shy away from doctors who emphasize that they practice what they preach. Moreover, the researchers note, when patients feel devalued, they may seek care elsewhere or delay seeking it altogether to the detriment of their long-term health. We should not be surprised by these results. For me, the takeaway is that we must demonstrate empathy when we preach what we practice. We have to step into the other person's shoes. Moreover, we have to acknowledge our own fallibility. Talking about our mistakes, and the hurdles we have had to surmount, can help others listen to our ideas and recommendations.